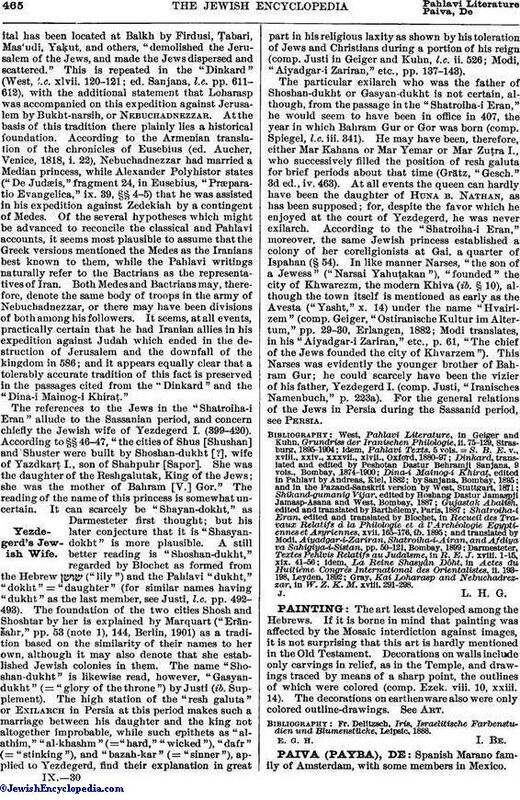 The art least developed among the Hebrews. If it is borne in mind that painting was affected by the Mosaic interdiction against images, it is not surprising that this art is hardly mentioned in the Old Testament. Decorations on walls include only carvings in relief, as in the Temple, and drawings traced by means of a sharp point, the outlines of which were colored (comp. Ezek. viii. 10, xxiii. 14). The decorations on earthenware also were only colored outline-drawings. See Art. Fr. Delitzsch, Iris, Israelitische Farbenstudien und Blumenstücke, Leipsic, 1888.